Jeth Seagrave and his crew of teenage mercenaries have survived in this world by stealing unsecured metatech, and they're damn good at it. Jeth doesn't care about the politics or the law; all he cares about is earning enough money to buy back his parent's ship, Avalon, from his crime-boss employer and getting himself and his sister, Lizzie, the heck out of Dodge. But when Jeth finds himself in possession of information that both the crime bosses and the government are willing to kill for, he is going to have to ask himself how far he'll go to get the freedom he's wanted for so long. For a book that took me a ridiculously long time to read, I really really enjoyed it. 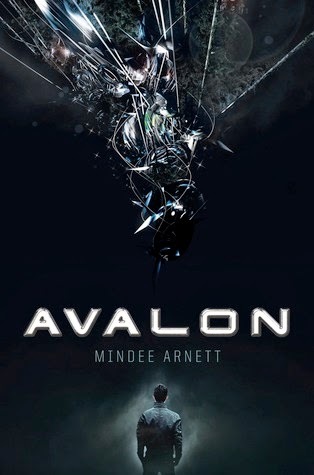 Science fiction stories set in space aren't in abundance in the teen section of my library, and this was definitely a breath of fresh air from the bombardment of dystopias. And the whole thing felt like an episode of Firefly...which just ups it's awesome quotient immediately. Jeth is basically an indentured servant. After the tragic loss of his parents, he entered the service of Hammer, a space crime boss, who uses Jeth and his crew to steal metatech technology. 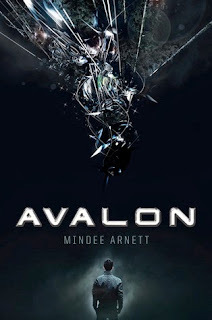 Jeth is biding his time, saving his money, all with the hope that he'll get to buy back the family spaceship, Avalon, from Hammer one day and find a quiet place to live on a distant planet. But then he gets offered a job he can't turn down with the opportunity to earn back the title papers for Avalon. It's a retrieval job. All he has to do is go into the Belgrave Quadrant (basically the Bermuda Triangle in space), find a lost ship, and return to Hammer. Easy. Until it wasn't, and definitely not after secrets about his family and the death of his parents is revealed. Overall, a pretty good read. It would be an easy adaptation for television or film. Jeth was very much a Malcolm Reynolds. He has the respect of his crew and always looking to work the system if it's possible. The reluctant renegade who is out of options. Shady is your Jayne, always ready for a fight. Celeste is your fiery Zoe. You've got a Kaylee in Lizzie, the engineering wizz. Yep, the cast is covered. There were several of these characters that could have used some further development, but a decent space-themed science fiction novel nonetheless. The ending was a bit abrupt and felt a little convenient, but I'll definitely be tuning in to the sequels to see what happens next. Fingers crossed it doesn't sadly end after one season (ahem...I mean book).